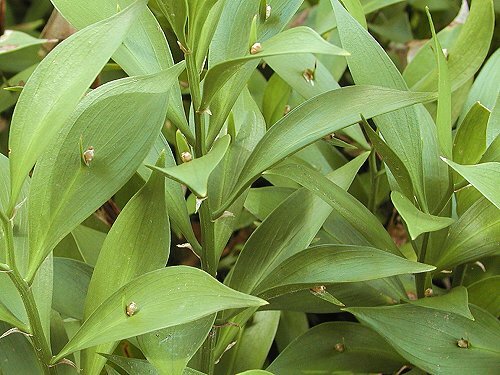 This week’s feature plant is the Ruscus Hypophyllum, more commonly known as the Spineless Butcher’s Broom. This evergreen perennial is an ideal plant to use in any vertical garden! This amazing little plant is a slow grower, and grows no taller than 1.2m. It survives in average-to-dry soil conditions and requires soft, dappled light to thrive. The Spineless Butcher’s Broom has dark green leaves, and at the centre of each leaf is a small dark green appendage. Small white or pale blue flowers appear at the leaf’s axil, creating a simple and elegant texture to the shrub. We love using Ruscus Hypophyllum in our living green walls, as they provide a soft finish and instant coverage to the vertical surface.